In 2013, Black Veil Brides released a concept album with gothic and operatic undertones, Wretched and Divine: The Story of the Wild Ones. The band members took on alter egos for the project, in the same manner as My Chemical Romance did with Killjoys. F.E.A.R. was the antagonist in this world. 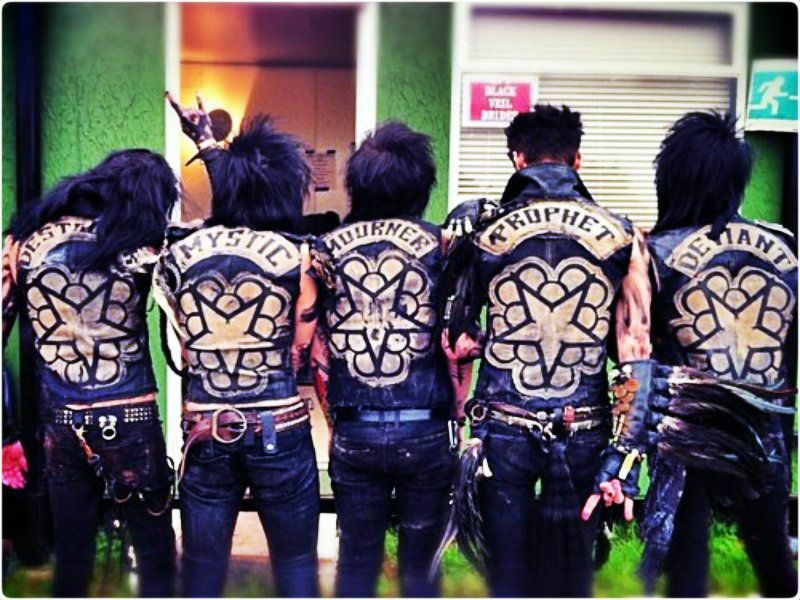 Lead singer Andy Biersack said the acronym stood for “For Every and All Religion.” So by the time Vale arrived, it had been awhile since we’ve heard from our so-called heroes, The Wild Ones. That inspiration has been a core theme since their debut in 2010. With The Wild Ones back for this album, they are facing the challenges of moving on from the pain and torture of their past and moving on to the new chapters of their lives. This album starts with a spoken word track titled “Incipiens Ad Finem” which is Latin for “Starting at the end.” This isn’t the first time Black Veil Brides have used spoken word on their albums. From the first actual song “The Last One,” which gets the album off on the right foot with being upbeat enough to peak interest but not so commercial that it bores. “Wake Up,” was the second single from the album and the first song to get a music video. Biersack says, “political and global connotations and is just a good rallying cry. Very anthemic quality.” This song does touch on a political aspect, which is an undertone to the entire album. Every song on the album fits together nicely, even with the slower more mellow songs, such as, “When They Call My Name” and “Our Destiny.” which have just as much musical prowess as the heavier songs. All of that combined is true and complete Black Veil Brides sound, but it’s not stale or tiresome after being a band for almost a decade. It’s more like a comfortable familiarity that has shown definite growth in lyricism and production value. One of the few missed marks is in the seven minute “Dead Man Walking (Overture II).” It’s strangely long in the middle of an album and it doesn’t seem to have the why factor. Still an incredible piece, but could it have been incredible at the three or four minute mark? Yeah, probably. There are eleven actual songs and the record ends with “Vale (This is Where it Ends).” The conclusion of The Wild Ones story ends here, or potentially begins depending on your outlook. This album may not have exploded like their second album Set the World on Fire, but listening to Vale could very easily have you checking out the rest of their discography.